SZIGET 2019 passes are on sale! Get your passes for a special price! Be the first to find out who’s coming to Sziget next year! 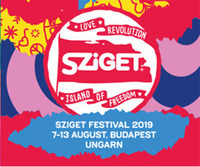 Eukalyptus1, wover1, _Nadddl_ und 6 weitere Leute werden an Sziget Festival 2019 teilnehmen.